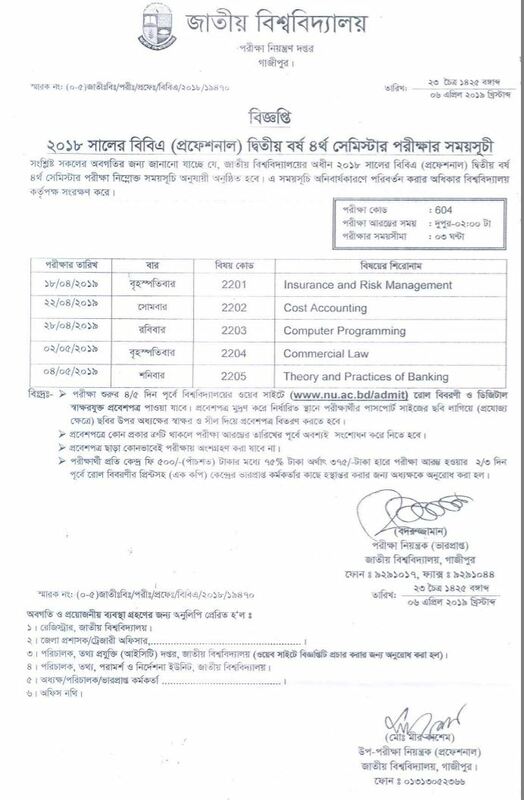 BBA (professional) 2nd-year 4th Semester Examination Routine 2019 for the Session of 2018 new and Old Students under National University of Bangladesh. The National University Authority has published this routine on 6th April 2019. Students can download this routine from this link. and also participate in examination from 18th April 2019 to 04th May 2019. The University will change this Routine Any time and Any Reson. Interested Applicants who are Register for Examination they can download this routine and participate in the examination from 18th April 2019.